The Uttar Pradesh legislative Assembly passed an amendment to the UP State Universities Act on Friday. The new amendment allows the change of the name of Dr. Bhimrao Ambedkar University, Agra to 'Aambedkar University'. New Delhi: The Uttar Pradesh legislative Assembly passed an amendment to the UP State Universities Act on Friday. 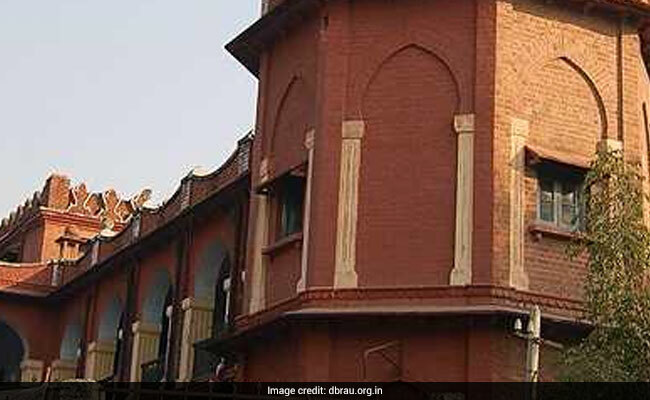 The new amendment allows the change of the name of Dr. Bhimrao Ambedkar University, Agra to 'Aambedkar University'. The name change has been brought after discovering that Dr. Ambedkar has signed his name in Hindi on the Indian Constitution as 'Aambedkar'. The change was done on the recommendation of Governor Ram Naik. On page number 254 of the constitution, Dr. Ambedkar had signed his name in Hindi as 'Aambedkar'. The Governor had, at the programme organized on the death anniversary of Dr. Bhimrao Ambedkar, had said that Dr. Ambedkar's name is usually written as 'Ambedkar' which is wrong. He said that in the original copy of the constitution, he had signed as 'Aambedkar' and this is the spelling that should be adopted. Governor Ram Naik had visited the Agra University on December 5 on the occasion of the 83rd Convocation ceremony. President Ramnath Kovind was the chief guest for the convocation ceremony.